Custom Designer Velour Dash Covers by Coverking are designed to perfectly fit your dashboard for a beautiful, fresh-looking interior. Available in 8 designer-print patterns, these Velour Dash Covers offer protection against heat and the sun's damaging UV rays as well as glare that can cause vision problems while driving. These made to order dash covers are available in Hawaiian, Camouflage, and Animal-print patterns. 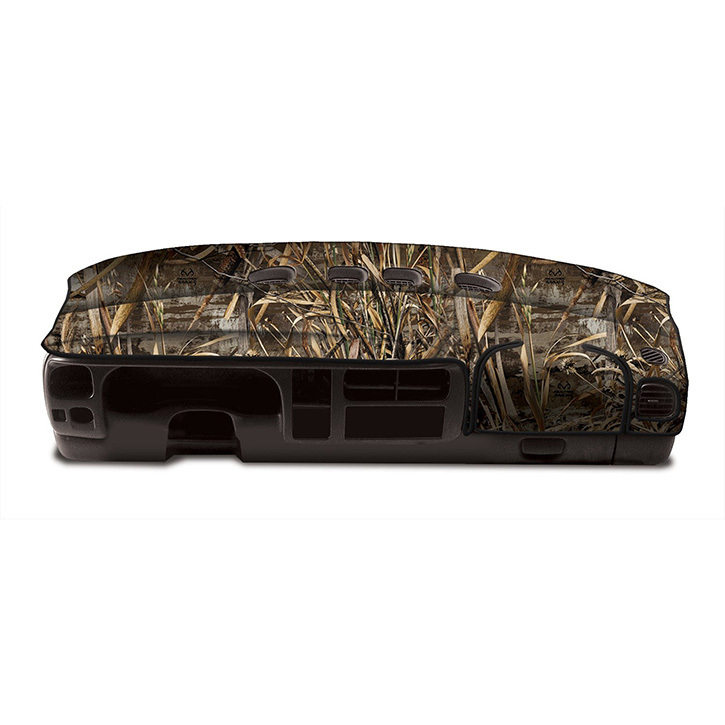 Transform the look of your dashboard with Mossy Oak and Realtree Dash Covers. Several Mossy Oak and Realtree patterns are available including Mossy Oak Breakup, Infinity, and Treestands, and Realtree AP and Max-5. For the full camo effect, try combining these dash covers with our Mossy Oak or Realtree Seat Covers. Also available in Animal Prints are Cheetah, Leopard, and Zebra Dash Covers. For Hawaiian lovers we offer Hawaiian Black, Red, and Blue patterns. The Hawaiian Dash Covers match perfectly with our Hawaiian Seat Covers. For a truly unique look, try our Velour Fire Dash Covers.